Sometimes, life just simply gets in the way and before you have had time to blink, your house has accidentally turned into a disaster zone. If you’re reading this and you can relate, have no fear! 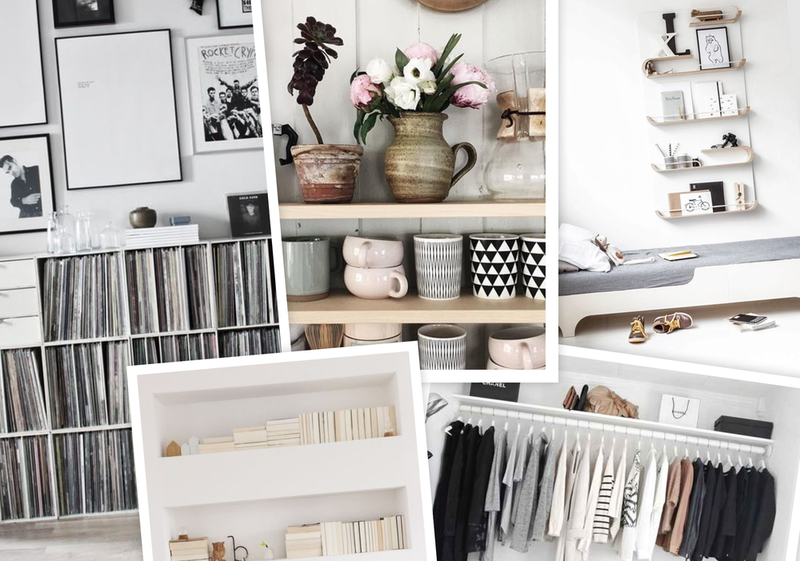 We’ve collected the best tips and tricks the Internet has to offer in order to get you on your way with reorganising your home! Be savvy and make the most out of dead space in your home by thinking about how you can transform it into a functional storage place. You can’t keep everything; some pieces will have to be thrown out. In order to get the results you want, you’ll have to be firm with yourself and stick to your decisions. If you find the process difficult, work towards filling one bin bag of rubbish a day. Fix the problem at its root and stop buying unnecessary things for your home. When you’re out shopping, ask yourself if you really need that item, and try to envision exactly where it would go in your home. Avoid buying bits and bobs for the sake of it, as this is how clutter quickly builds up! If you can’t bear to throw anything away, then look to alternative storage ideas. If you have high ceilings, why not put up shelving above the eye-line, after all there is an element of truth behind the saying out sight, out of mind! If you don’t want to throw away a particular item, but it takes up too much room to justify keeping it, why not think a little bit differently about how you integrate it into your décor? Try turning your favourite collection of records into a piece of wall art, or a shirt with sentimental value into a cushion! If you give yourself a target of what you want to achieve and a timescale in which to achieve it in, it may motivate you to get the job finished on time, instead of the project being dragged out for months! Don’t go it alone, bring a neutral friend or relative on board! Not only will you be grateful for their company, but they will also help you make logical, impartial decisions that you might not have come to on your own!